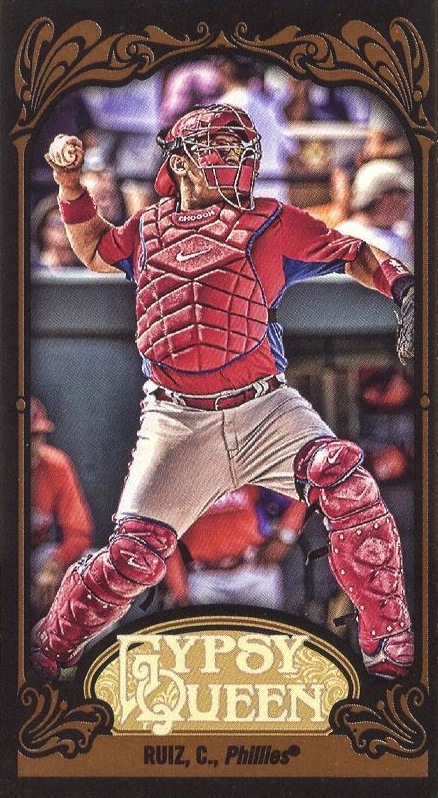 Parallel: Golden Sparkle, serial numbered to 10 on front of card. 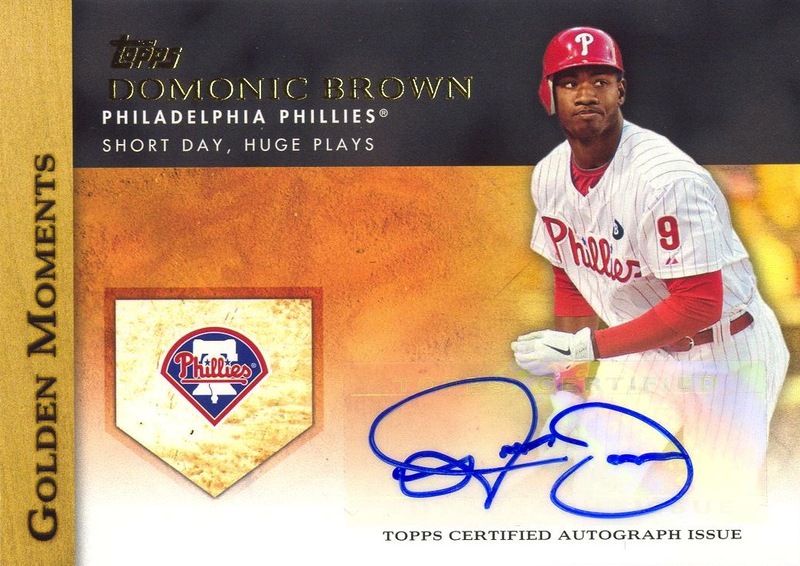 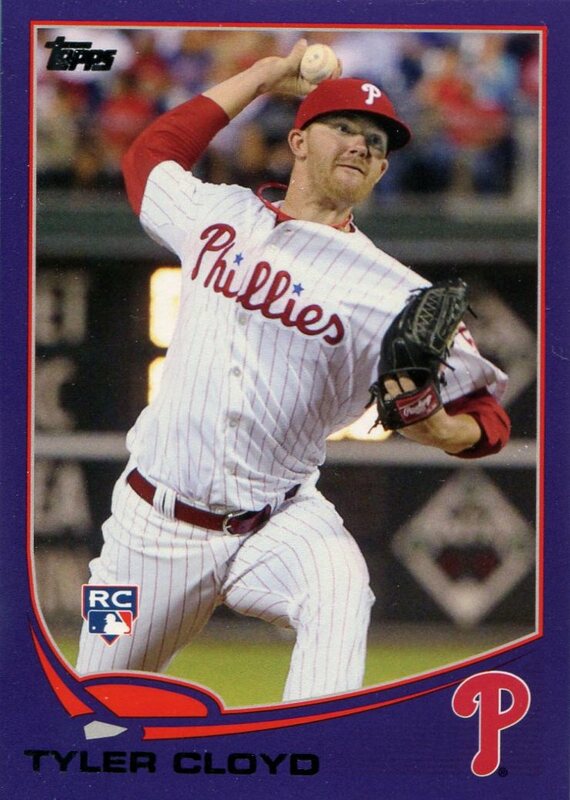 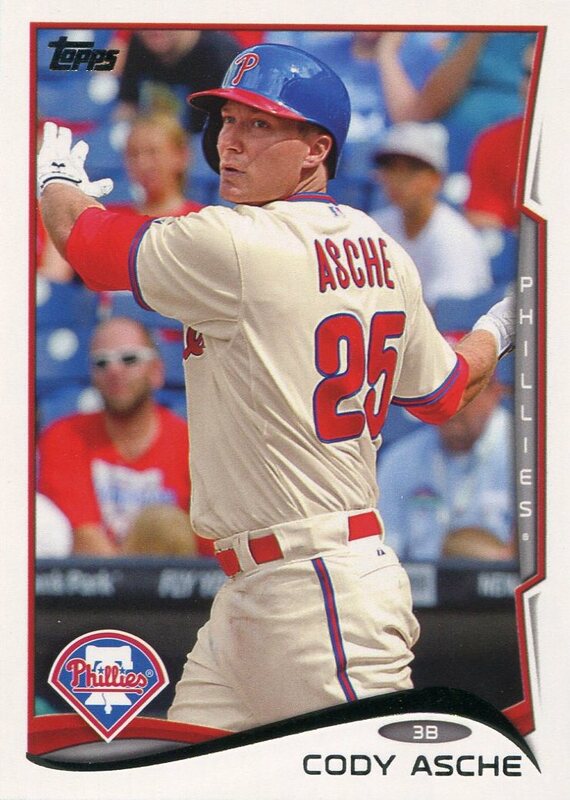 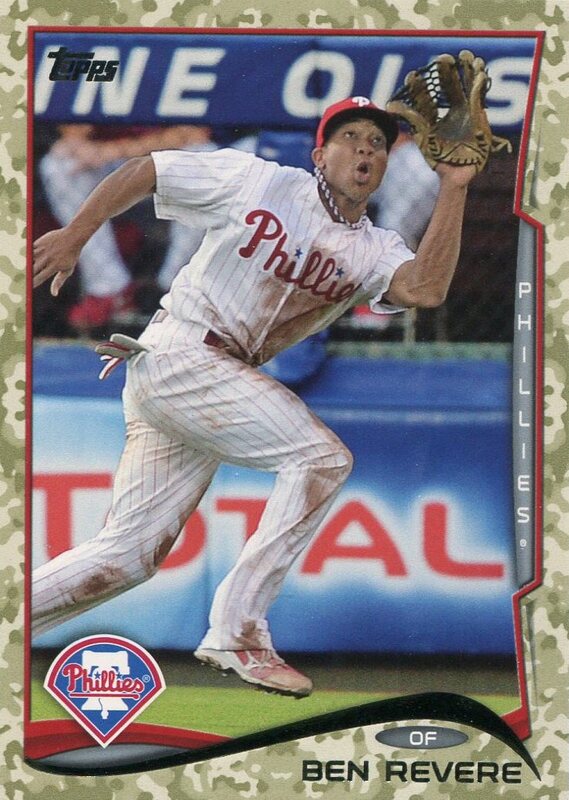 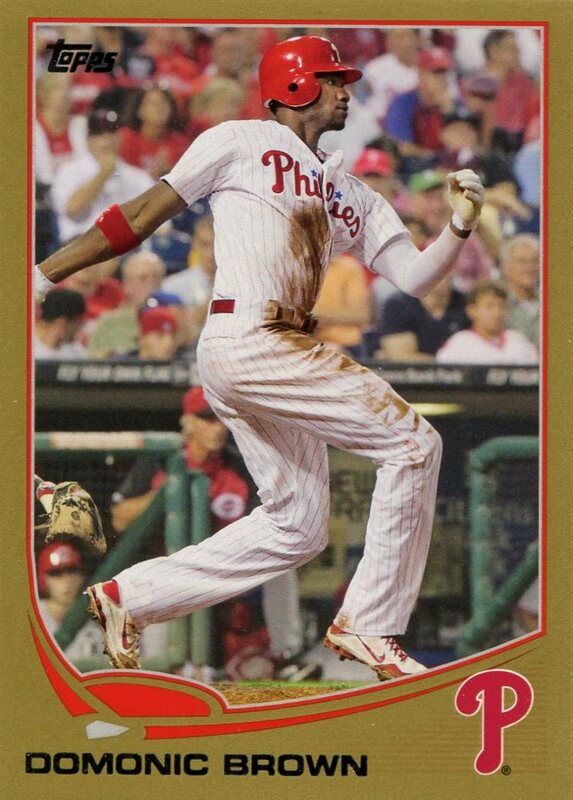 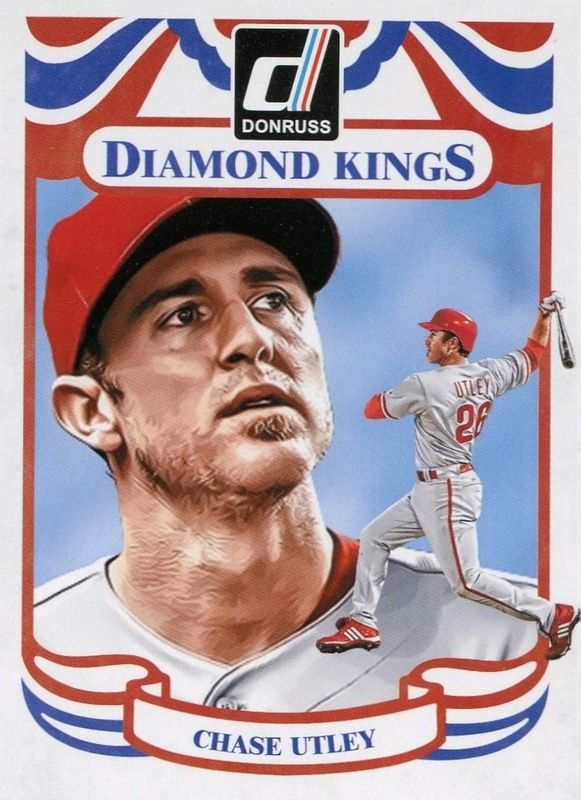 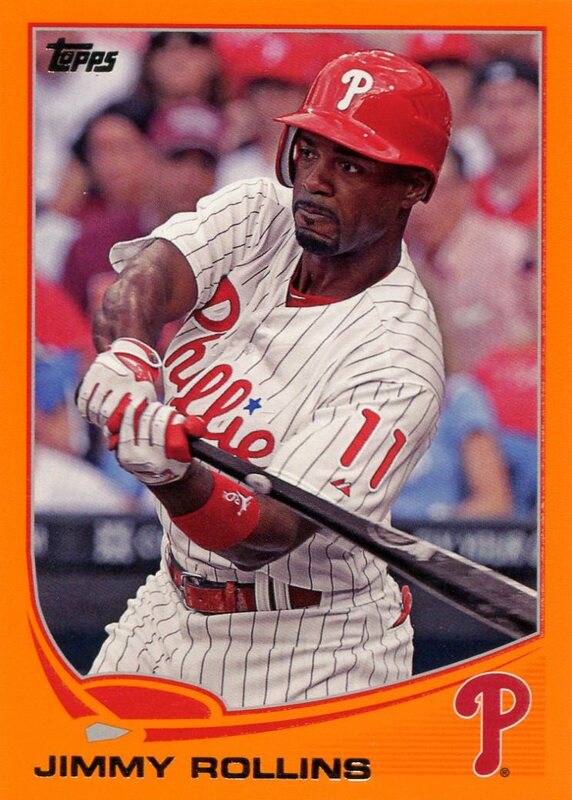 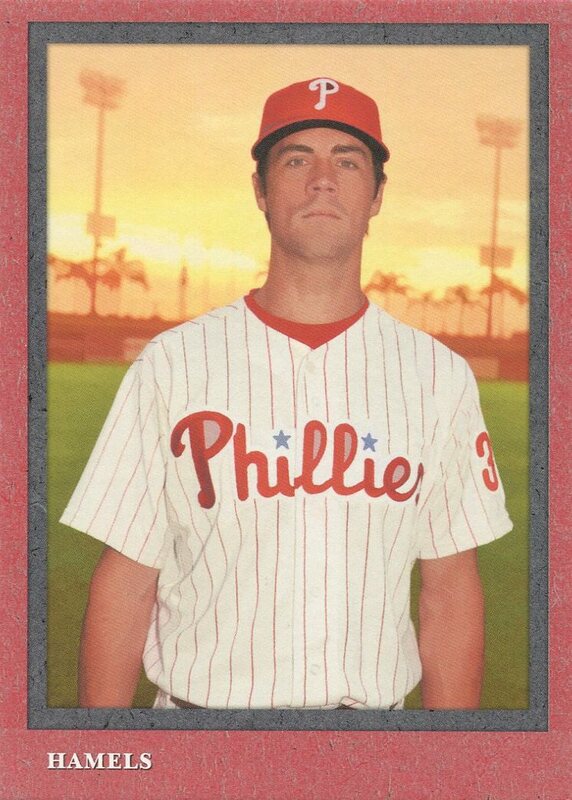 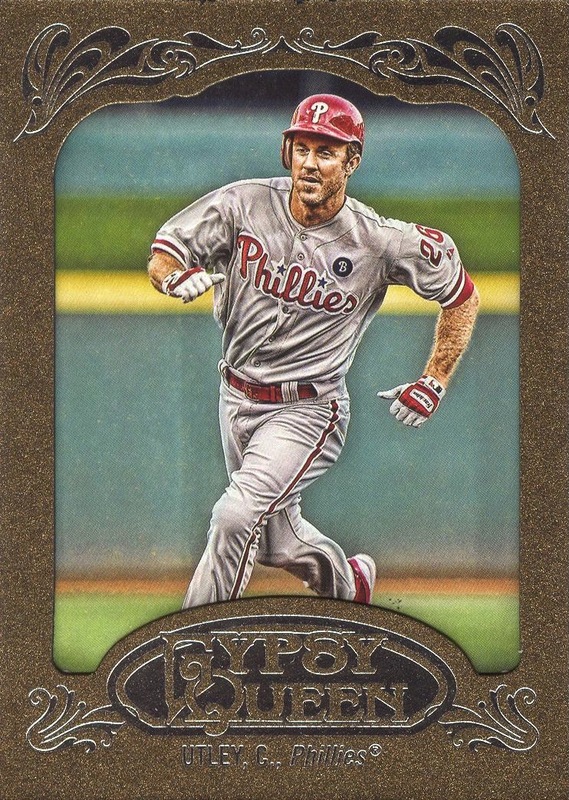 Additional Information: Although Golden Moments Autographs were inserted in both Series One and Series Two packs of 2012 Topps, the Phillies appearing in the set were all issued in Series Two. 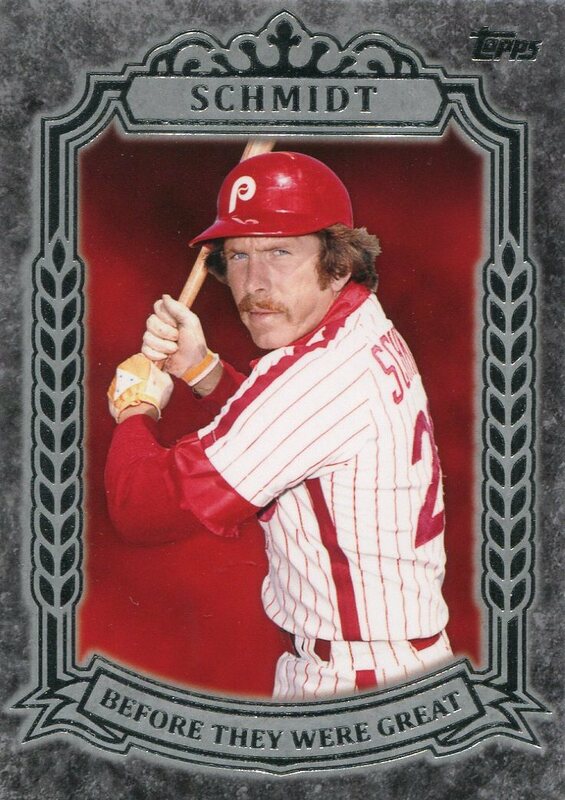 The Howard, Schmidt, and Utley cards all essential use the same card issued for them in Golden Moments (Series Two), only with only with autograph stickers applied to them and new numbers on the back. 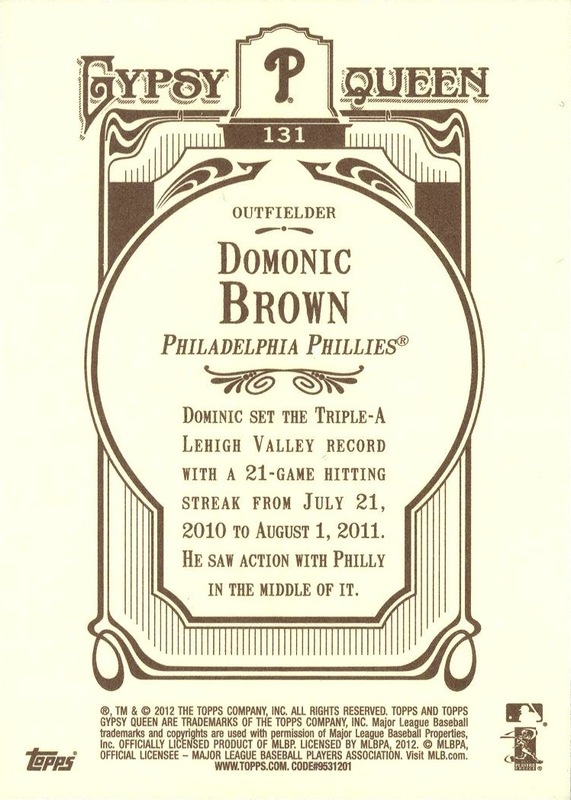 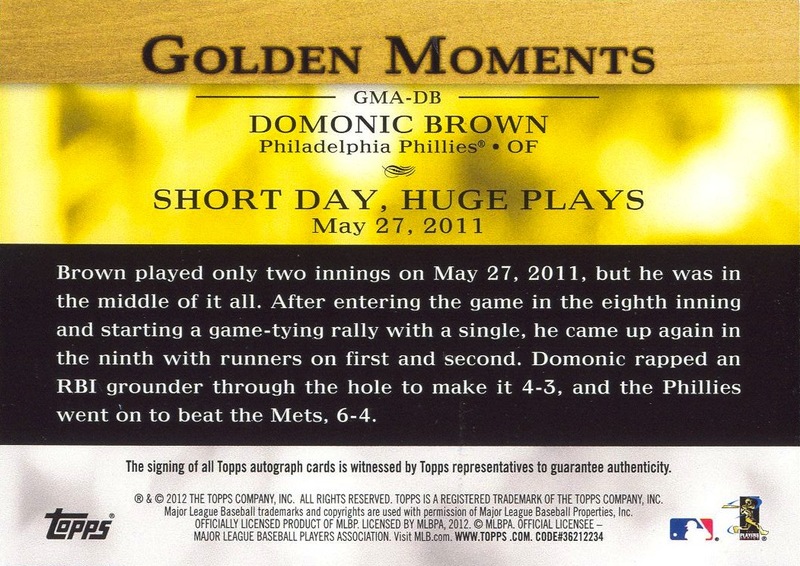 Victorino’s and Brown’s cards, however, are unique to this set — they do not appear in either Golden Moments (Series One) or Golden Moments (Series Two). 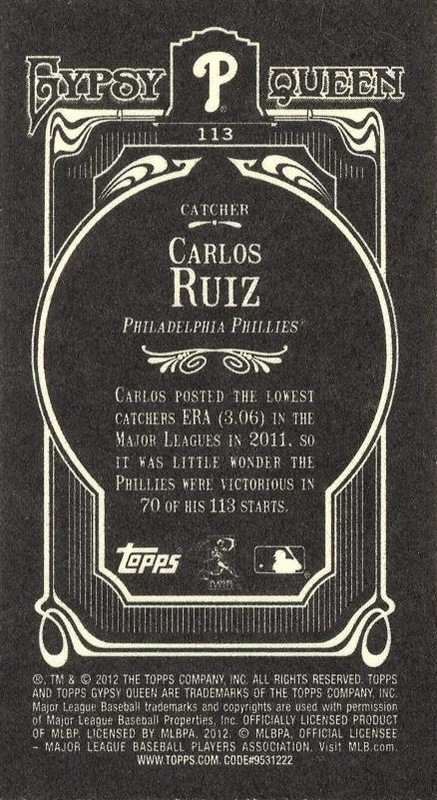 Additional Information: Cards were inserted in packs of 2012 Topps. 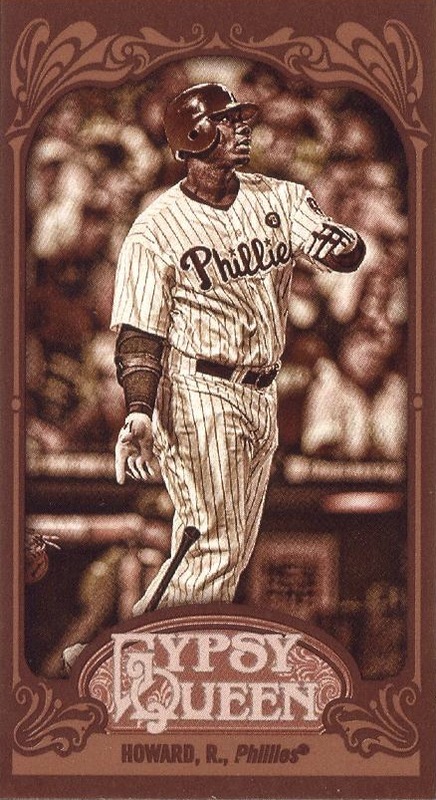 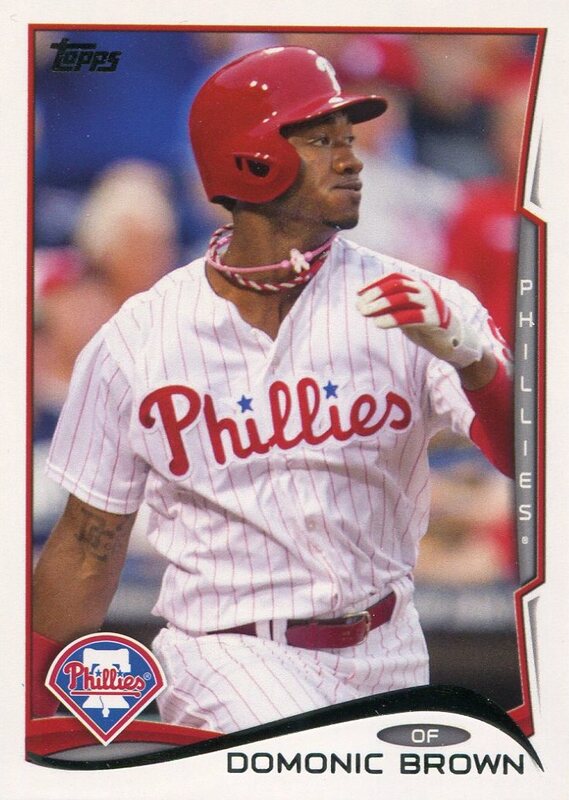 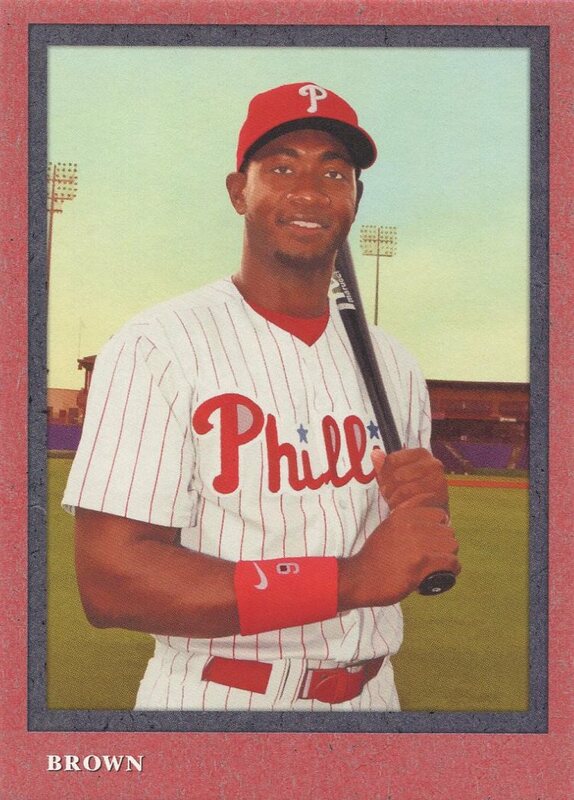 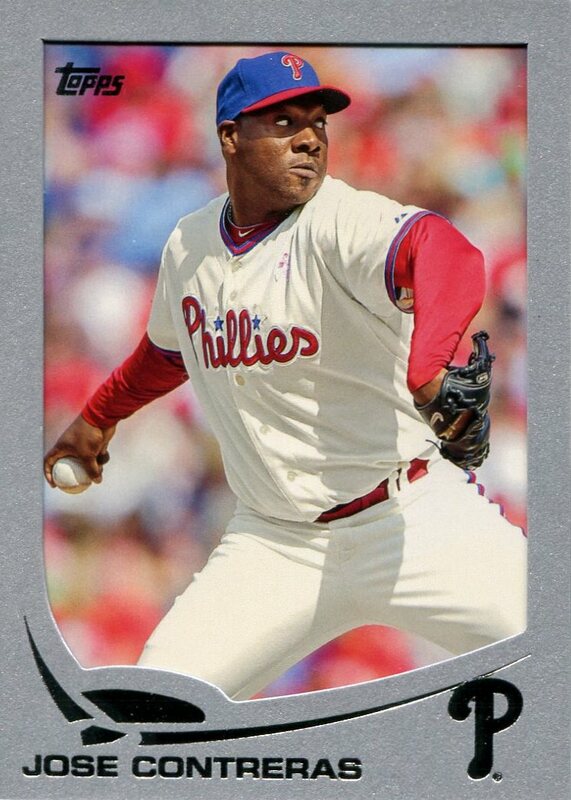 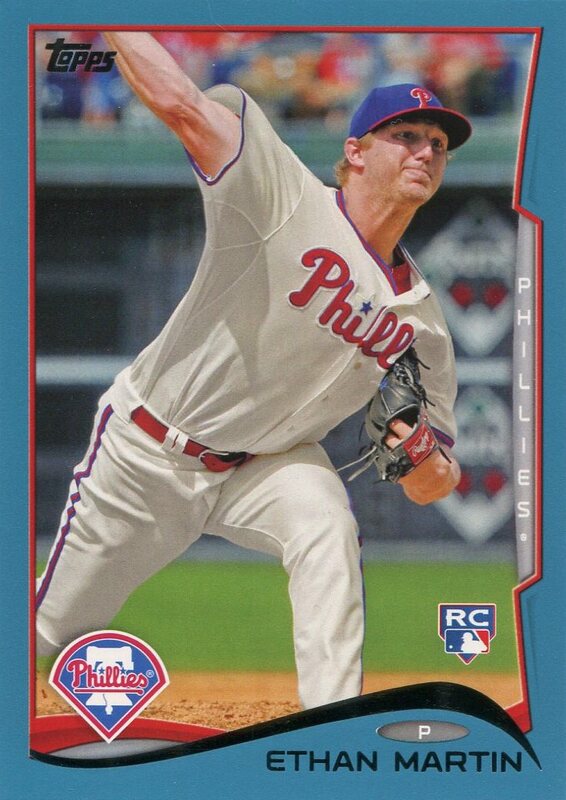 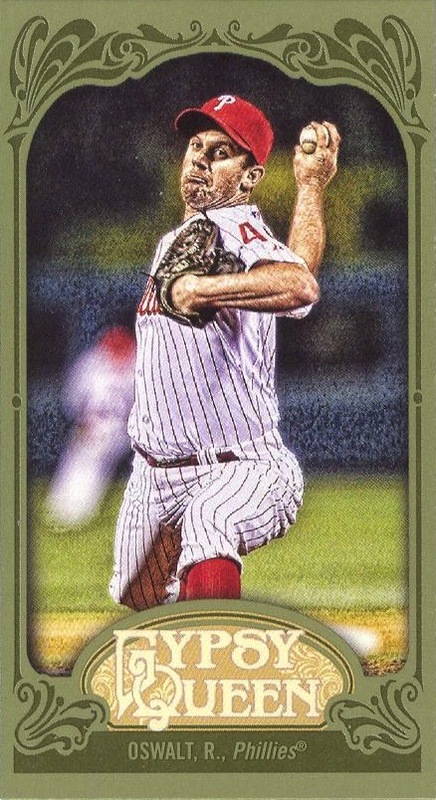 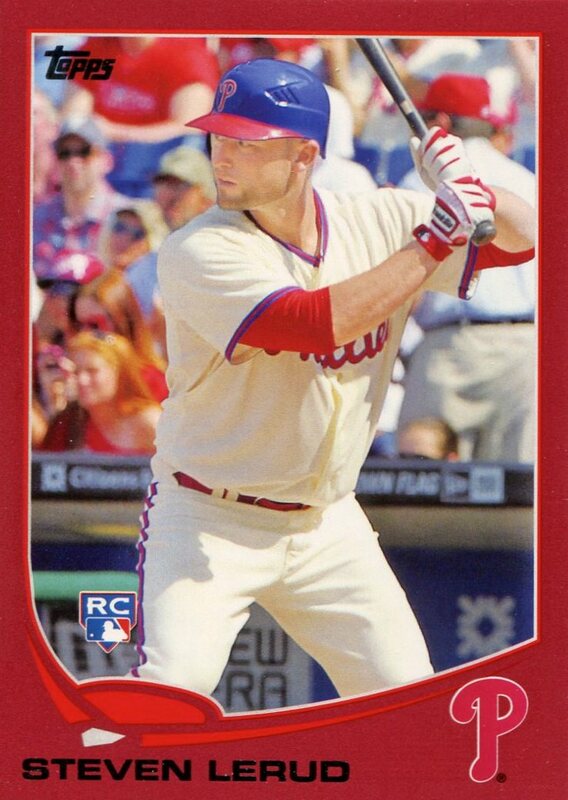 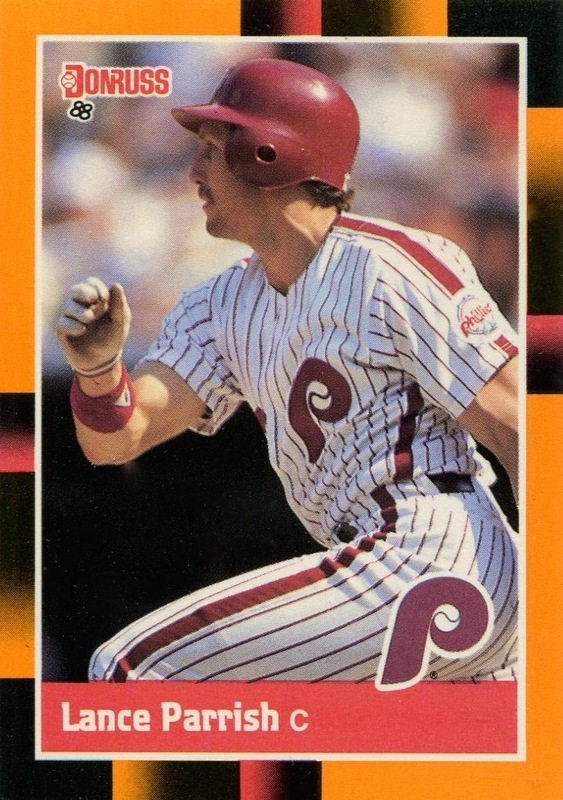 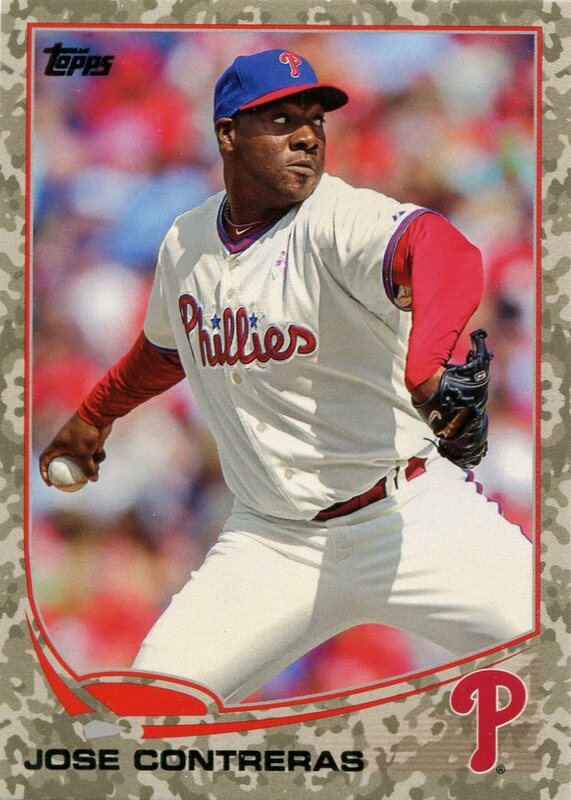 However, Brown — the only Phillie in the set — was only available in Series Two packs. 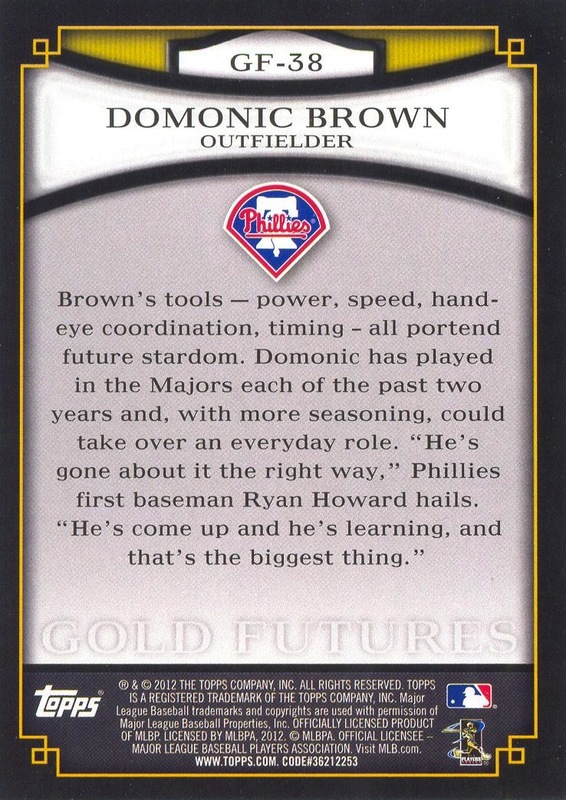 Brown’s card also serves as the base for his Gold Futures Autographs, Gold Futures Autograph Relics, and Gold Futures Relics cards. 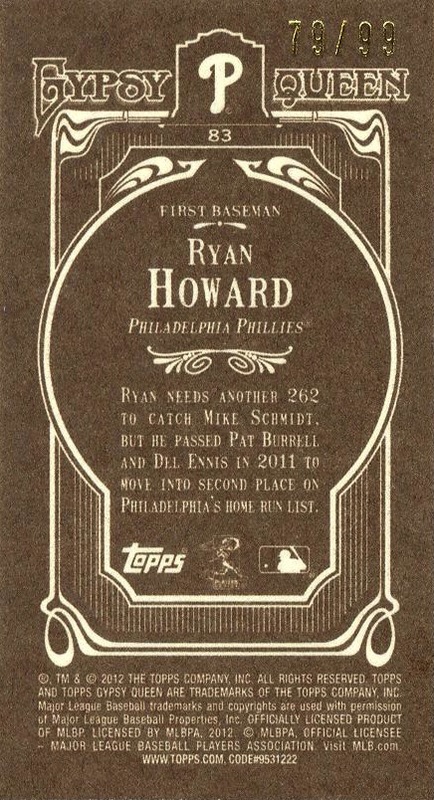 Parallels: Blank Backs, serial numbered “1/1” on back of card; Framed Black, serial numbered “1/1” on back; Framed Blue, serial numbered to 599 on back; Framed Gold; Black, Cyan, Magenta & Yellow Printing Plates — each serial #ed “1/1”; Mini; Mini Black; Framed Mini Black, Cyan, Magenta & Yellow Printing Plates — each serial #ed “1/1”; Mini Green; Mini Gypsy Queen Red Back; Mini Sepia, serial numbered to 99 on back; Mini Straight Cut Back. 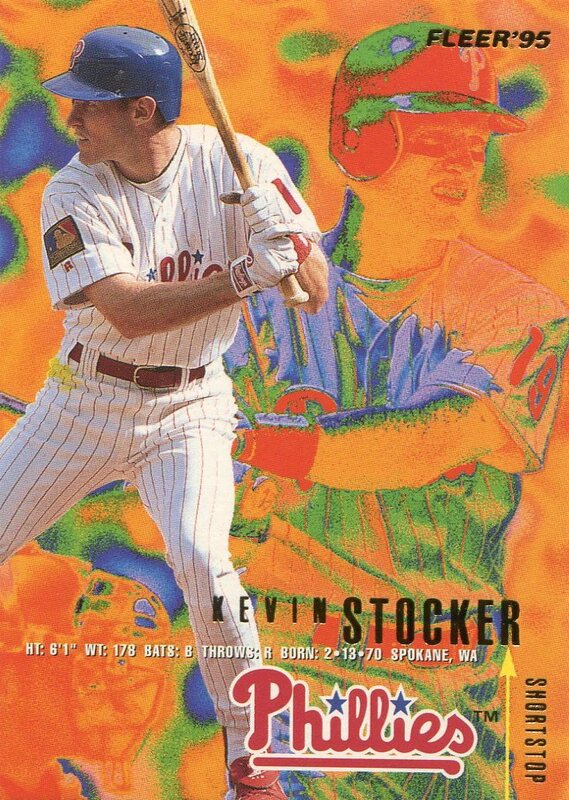 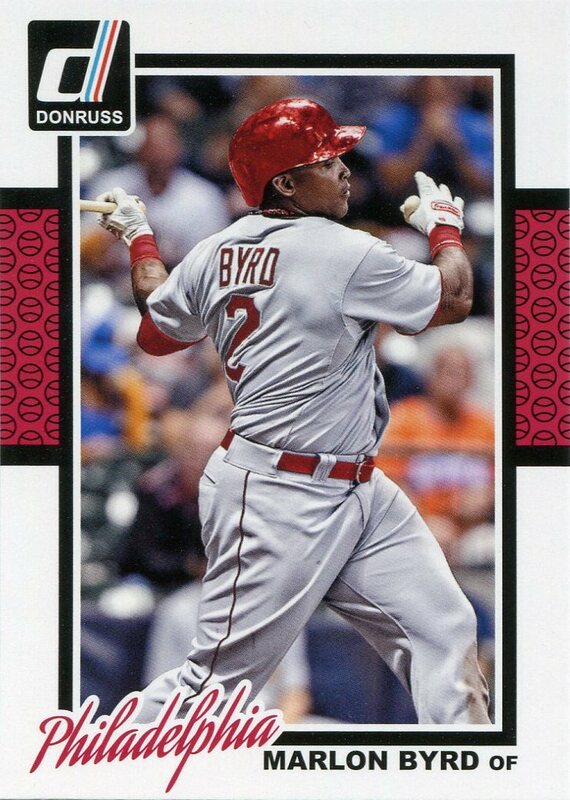 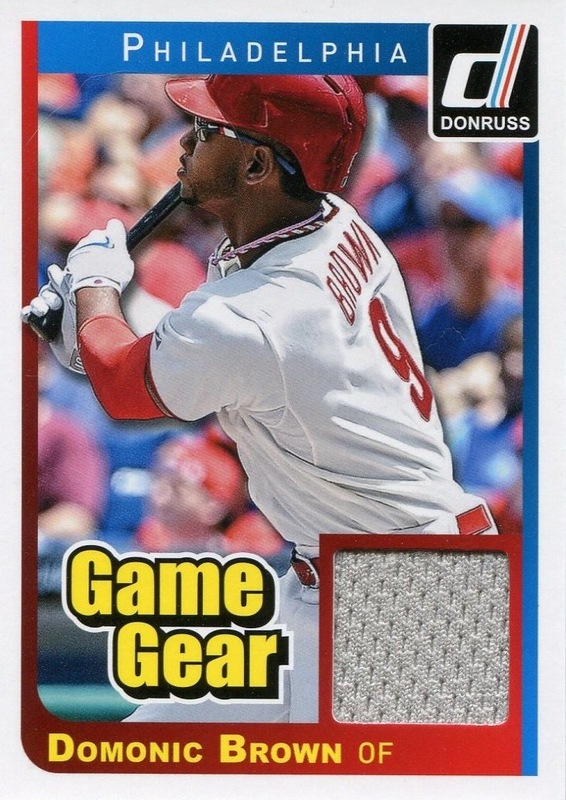 Topps distributed the Blank Backs parallels exclusively on eBay via The Topps Vault and only issued them for the base (non-SP variation) versions of the cards. 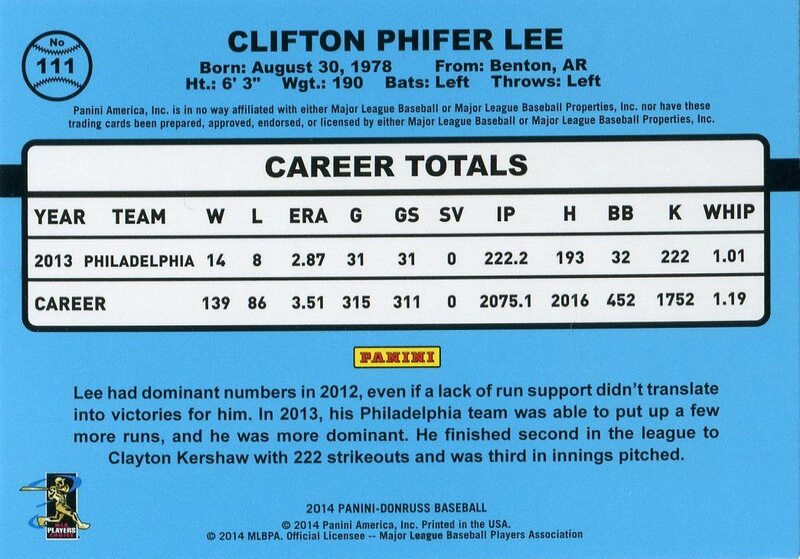 Additional information regarding the Mini parallels follows the primary set checklist. 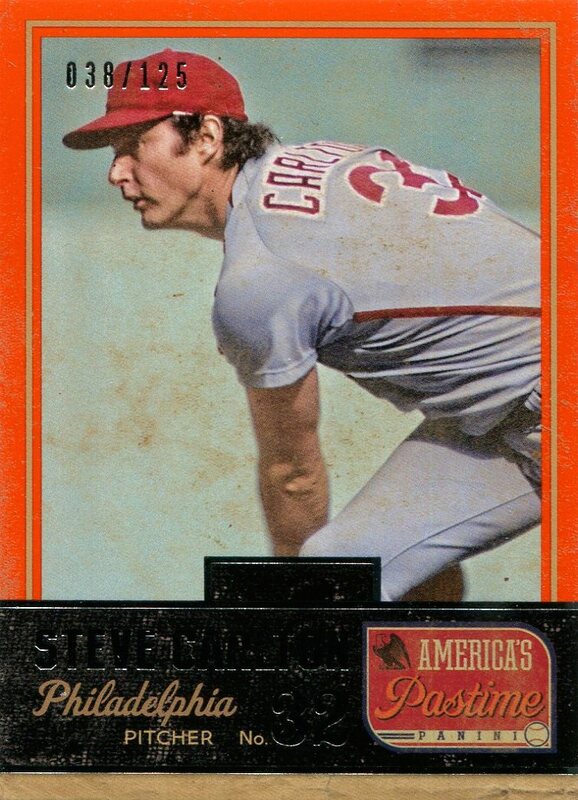 Inserts: Dual Autographed Relics, Framed Mini Relics, Indian Head Penny, Moonshots, Original Art Patches, Relics, Sliding Stars, Triple Autographed Relics. 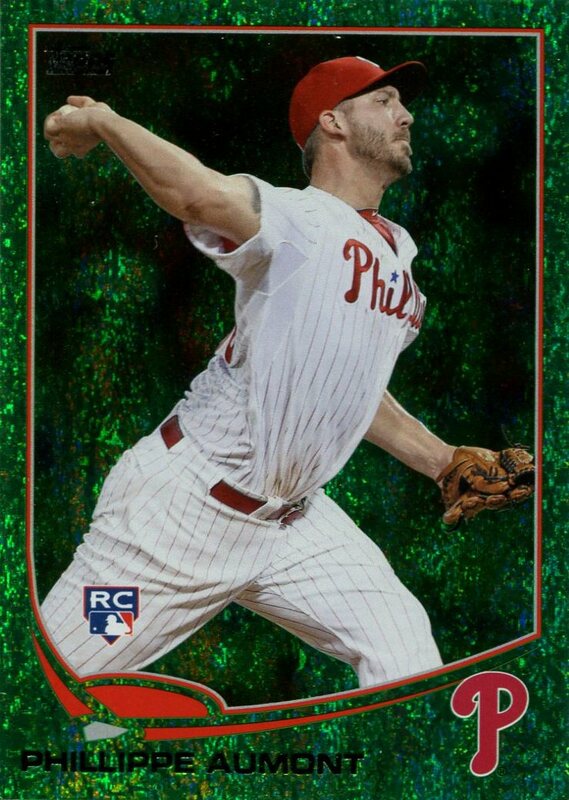 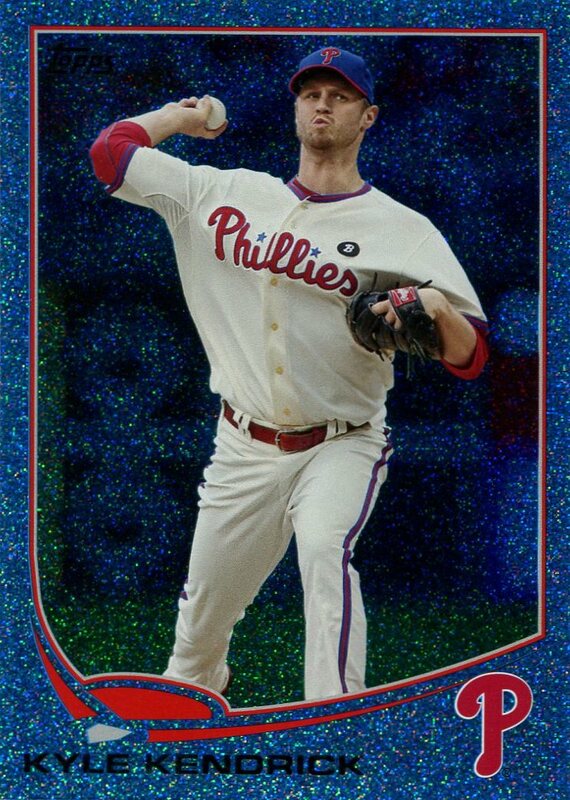 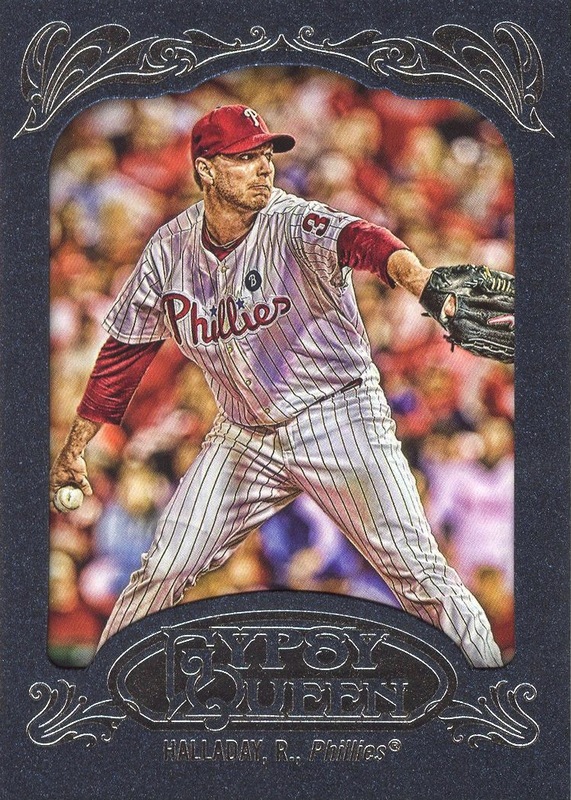 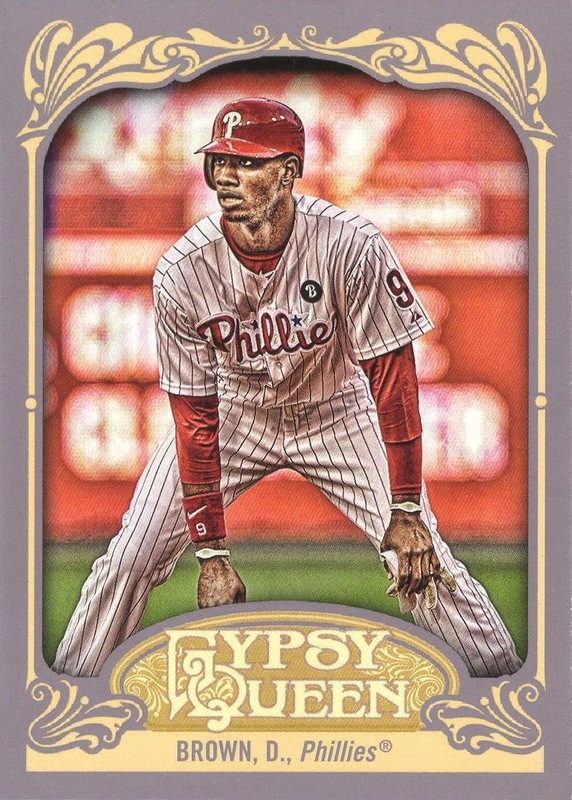 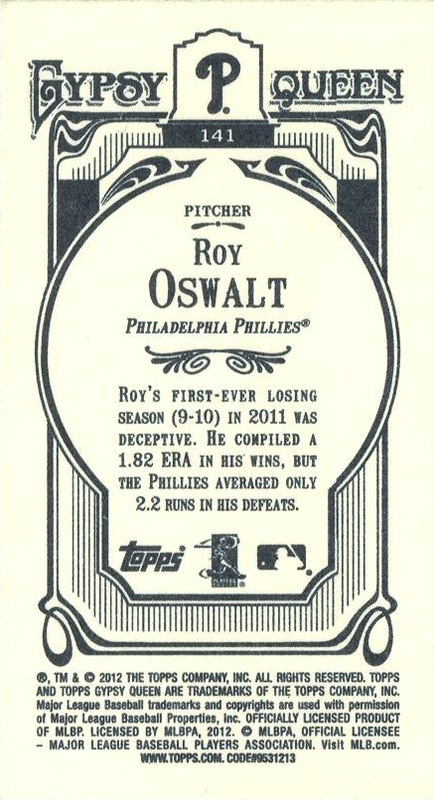 Additional Information/14,000 Phillies Commentary: Unlike 2011 Topps Gypsy Queen, this set does not actually replicate any previously used design. 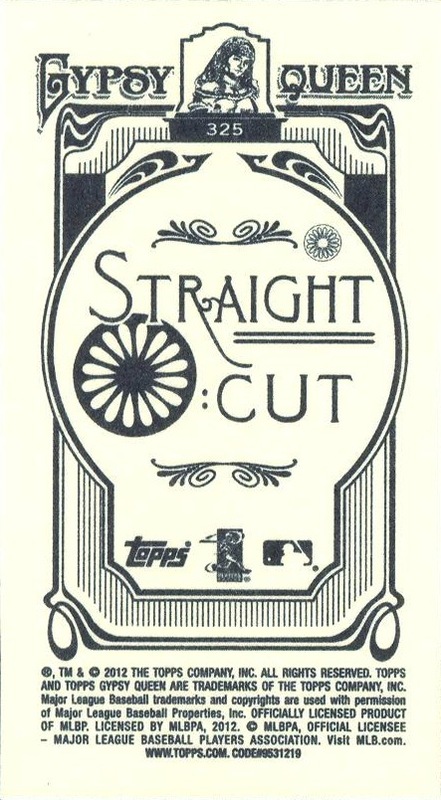 Although Topps clearly attempted to replicate the feel and spirit of the previous year’s offering (as it has done with its Allen & Ginter’s sets over the years), when you compare the 2012 set to other cards issued during the 19th century it certainly seems as if the border is just a little too ornate. 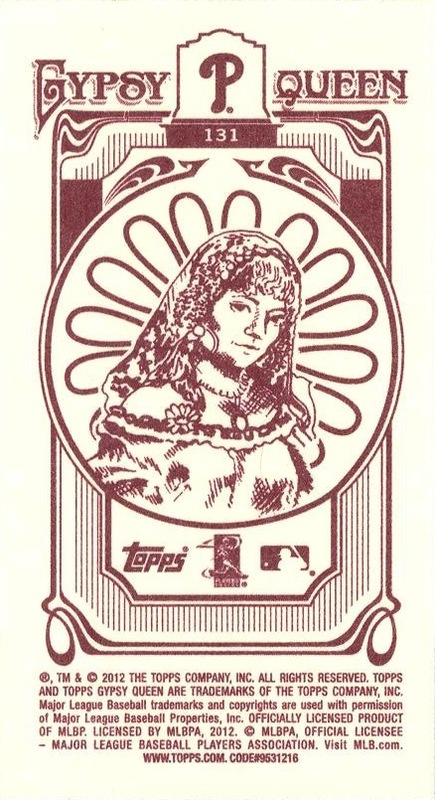 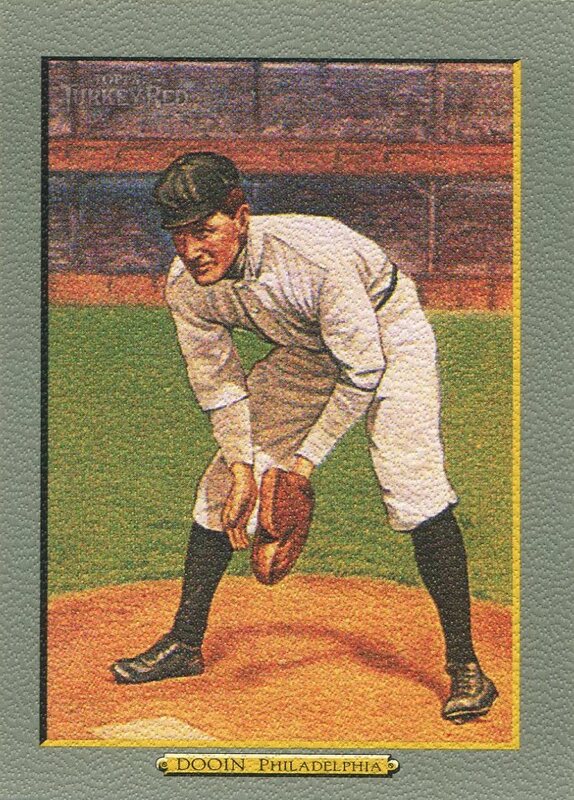 I love the fact that so many cards contain photo variations — this is completely keeping in the spirit of the very first Gypsy Queen set in 1887. 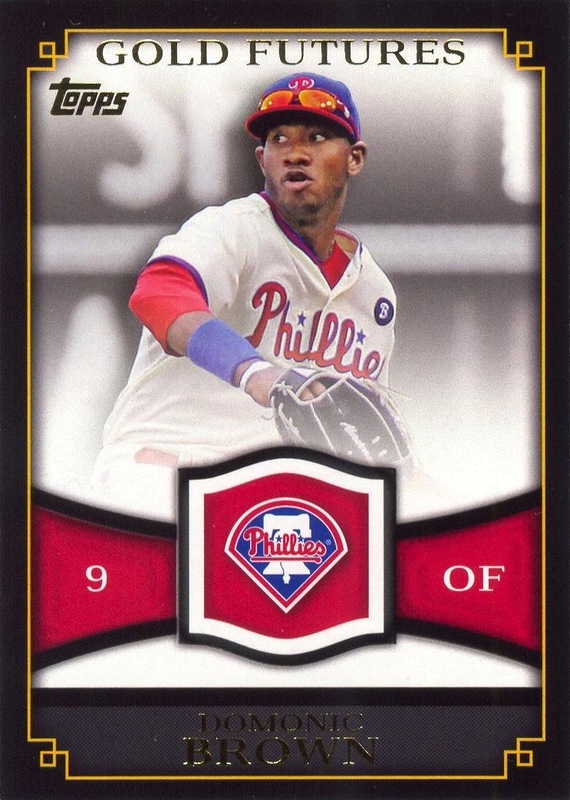 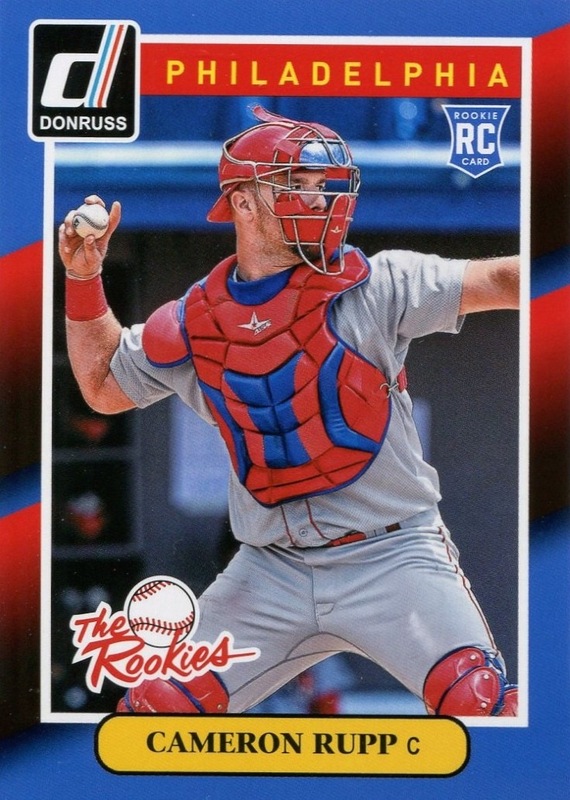 However, there is no good reason for Topps to not just assign each of the variations its own card number — especially given the sheer number of variations in this set and the Mini parallel (again, more information on those after the primary checklist). 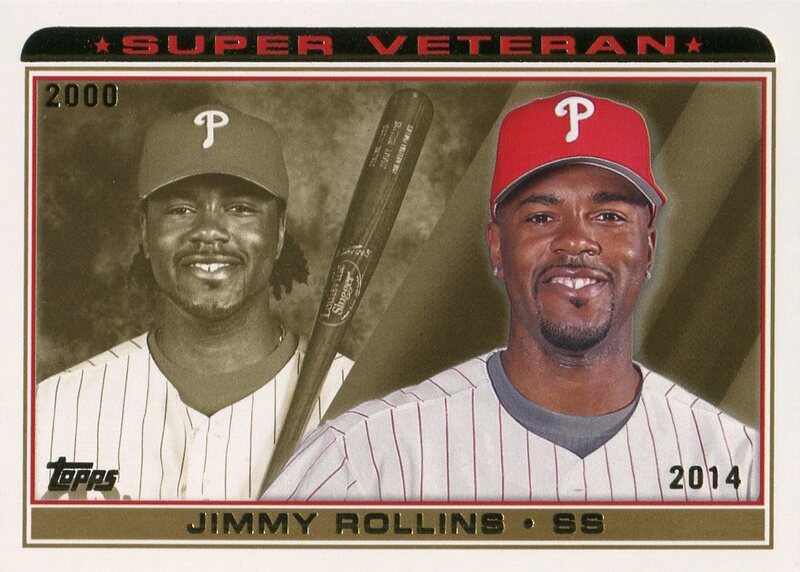 Just giving each of the photo variations its own card number would make life a lot easier for collectors. 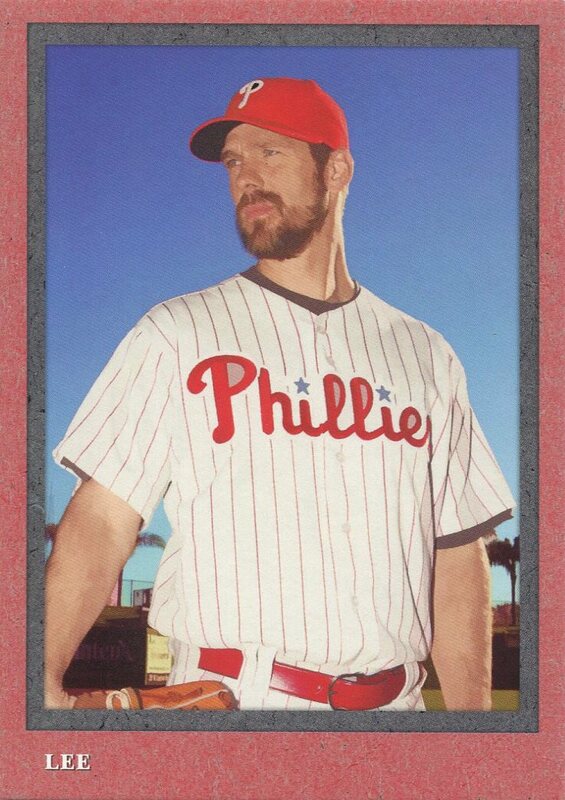 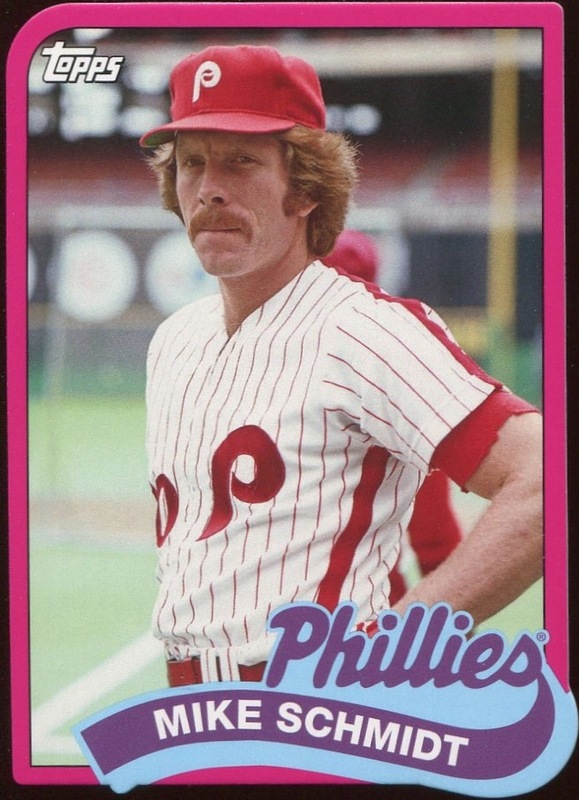 Another, incredibly small, quibble comes from the relative lack of Phillies autograph cards in this set. 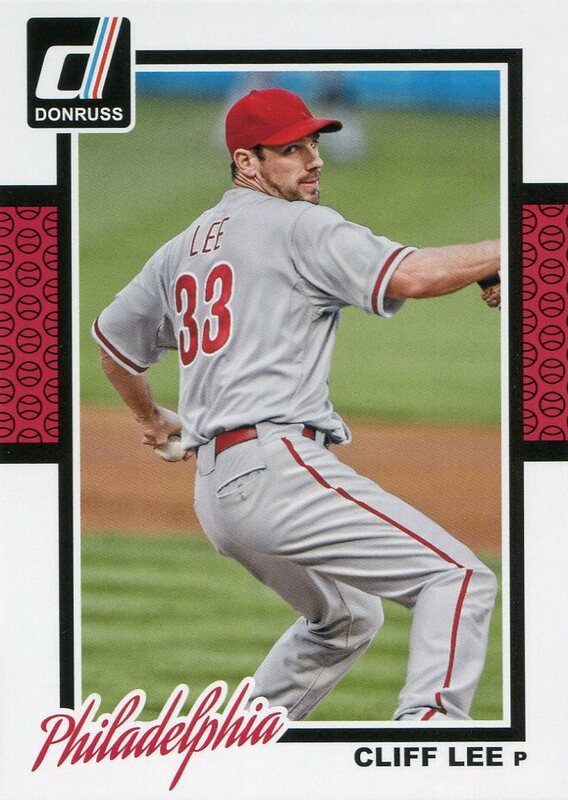 Maybe the 2011 edition spoiled me, but seeing none whatsoever in this set (outside of the incredibly short-printed Dual Autographed Relics and Triple Autographed Relics) was a huge disappointment.